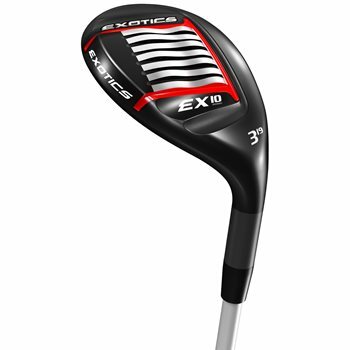 The Tour Edge Exotics EX10 hybrid features a new Japanese high density, steel cup face to produce higher CT levels all over the face. The steel cup face is combo brazed with a 450 SS hyper-steel body to produce Exotics legendary distance and forgiveness. The SlipStream sole has shallower channels between the rails and is more compact overall to ensure minimal turf interaction. A heavy rear sole pad produces a deeper CG and helps to easily get the ball in the air from any lie.